Home » Forum » MSX Talk » General discussion » Best Vampire Killer/Castlevania? I'd say Castlevania - Bloodline for the SEGA Megadrive. Konami really let their fantasy go over the top on that one. Symphony of the Night on Sony Playstation is very cool too, but didn't play it much myself. 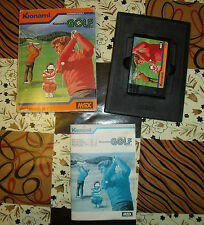 The MSX version is the first one, I reckon? 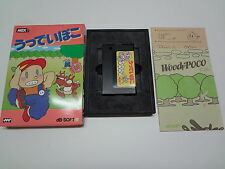 It was released on Famicom Disk System a few weeks prior to MSX, so close together it's negligible. My favourite is Symphony of the Night. MSX's 'Vampire Killer' made me play 'm all but the US release of PS's 'Symphony of the Night' made me play through the night and skip work. Awesome... But that was a long time ago. I also have the artbooklet and the music CD (with MSX tracks on it), I believe it came with the Japanese version. I played through PS2's Curse of Darkness more recently. Besides that there is a lot of stuff for the fans to recognise and bask in, the game doesn’t handle too well and is very, very repetitive. Can we include The Cure? 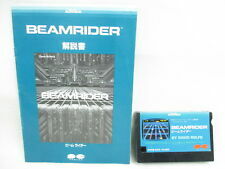 It was released on Famicom Disk System a few weeks prior to MSX, so close together it's negligible. is the difference really that small? Yeah. 9/26 on the FDS version, 10/30 (or so) for the MSX2 game. The FDS game has interesting gameplay, but is pretty lousy, really. You can't hit candles unless you're on your way back down, it seems, and the game is jittery crap all the way through. A lot of the blood's been drawn out of it and it's become a "run around different screens and collect stuff" flickscreen adventure. Less fun to play than the MSX2 Contra (in my opinion), but more interesting (if illogical, rooms wrap around) level structure. MY favorite CV? Hmm, no such thing! I like the SNES ones, PC-Engine, X68000, both original Game Boy games, etc. I thought the CV3 was the best, tons of replay value and cool soundtrack. 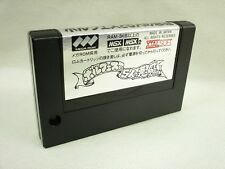 The MSX Vampire Killer takes the runner-up place, I always thought the music sounded so much better than the Famicom. SOTN for PS indeed is a very nice one! 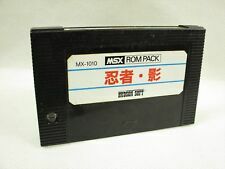 VK for MSX tops the rest. SOTN for PSX is a masterpiece. Another great one is Rondo of Blood for the PCEngine.